Last chance for this year’s persimmons! 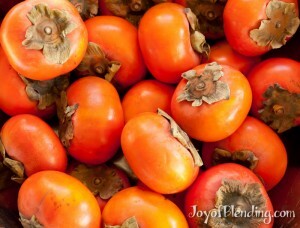 Persimmons have become one of my favorite smoothie fruits. Their sweet and mild flavor goes with many combinations. Unfortunately persimmon season is winding down, (at least for those of us in the Northern Hemisphere), so before they’re gone for the year I decided to buy 5 lbs to freeze for future use. I like persimmons in the pumpkin or sweet potato pie smoothie, as well as in other random combinations. Lately I’ve been simply pairing them with just cranberries or pomegranate. I’ve never frozen persimmons before but I think it will work well. I cut them into quarters and placed them on cookie sheets in the freezer. 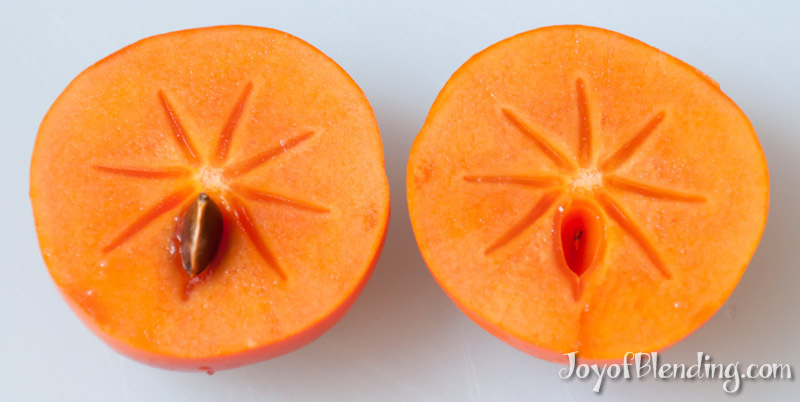 Once partially frozen I transferred them to a freezer bag, and now I’ll be able to have persimmon smoothies throughout the year. Blend on high until smooth and enjoy. *I use frozen blueberries, and I’ve generally found the “wild” ones to taste best. Thanks for this post. 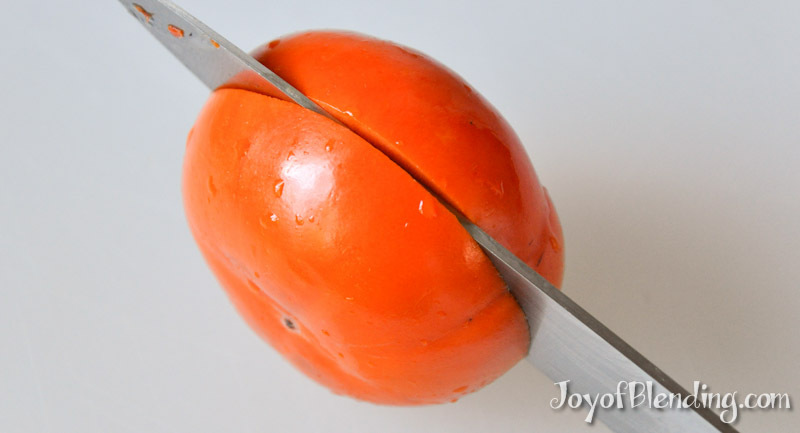 I see by the photos that there is no need to peel the persimmons. I tried using them for smoothies but have had a dickens of a time removing the skin. Now why I thought I needed to do that I don’t know… A messy business but worth it due to the amazing sweetness. You’ve made life easier. Good point, I forgot to mention that I don’t peel them. 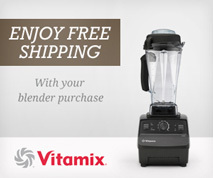 The skin is a little tough, but a blender like a Vitamix will cut it into tiny enough pieces that it is pretty smooth. A less powerful blender would probably leave more texture from the skin.